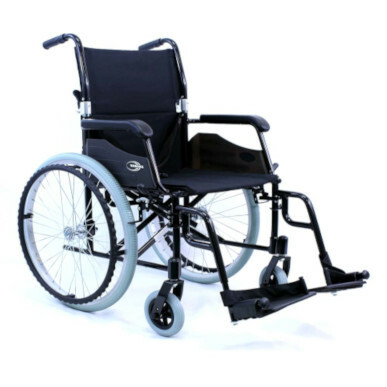 The Karman Ultra Lightweight LT-980 is by far the lightest wheelchair at it's price point. Weighting in at only 24 lbs, this chair is ideal for those who are traveling, caretakers who are tired of lifting a standard steel wheelchair, or any wheelchair user who is looking for something easier to propel and live life independently. From Anonymous of Arvada, Colorado on 4/5/2019 . This chair is very comfortable for mom, and lightweight enough for her to be able to propel herself using her feet. Nice for us to push, as well.